Most pet owners would love the chance to get inside our furry loved one’s head and hear what they’re thinking. 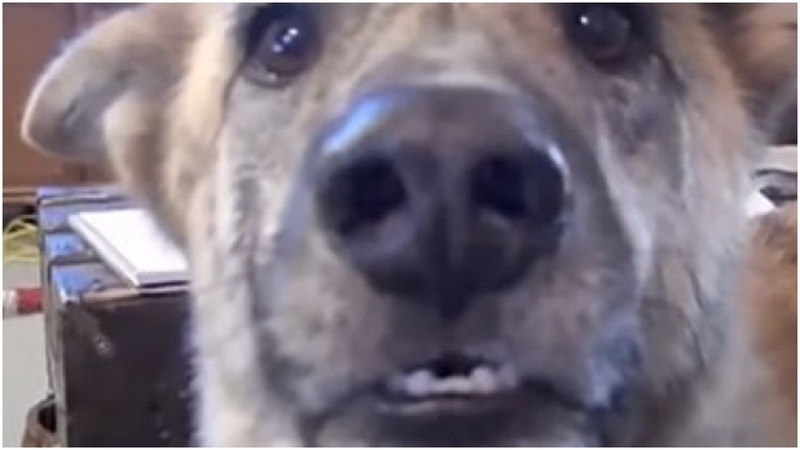 That’s exactly why this hilarious puppy dad decided to create his very own voice over – and it couldn’t be more hilarious! The man reveals that he ate all of the pup’s favorite food out of the fridge, and the following “conversation” is one for the ages! 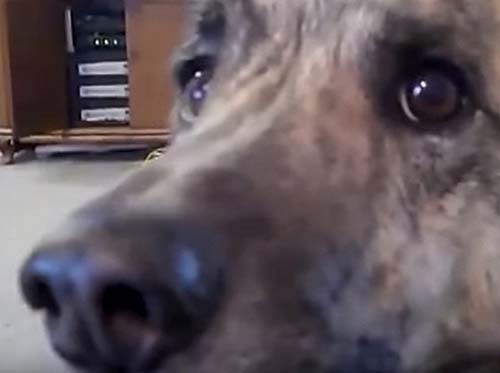 That means this pup understands that Dad really did eat all of the bacon and gave the yummy treats to the cat – and if he could talk back, this is probably exactly what he’d say! Take a peek at this goofy voice over for yourself by pressing “play” on the video below! Pup will have to get lots of treats in the upcoming days to make up for Dad’s silly behavior! Next articleWhat This Dog Owner Did Will Destroy Your Faith In Man. What A Hero Did To Save The Dog Will Restore It! What This Dog Owner Did Will Destroy Your Faith In Man. What A Hero Did To Save The Dog Will Restore It! Bride Thinks First Dance Is Ruined, But Then Looks Onstage For Shock Of Her Life.